PALM CITY, Fla. — A Stuart woman is devastated after she says her cat suffered a cruel and untimely death. 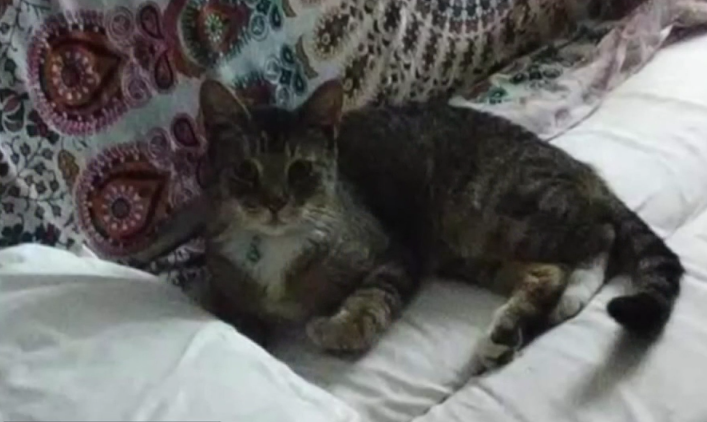 Tiana Staton claims it happened after her cat spent a week at a boarding facility in Palm City. "It was the worst decision I ever made," Staton said. Staton is still heartbroken and struggling to accept that her cat, Kurt, suffered a major injury and passed away. "He was the most amazing cat," Staton said. "He slept with me every night and purred me to sleep." Staton and Kurt lived together on a boat in Stuart. Kurt was an outdoor cat, but on Dec. 24, Staton decided to board him at Pet Spoilers LLC in Palm City because she was heading home for the holidays. "I was going to be gone for two weeks so I didn’t feel comfortable leaving him," Staton said. Kurt was boarded for more than a week, but when Staton went to pick him up on Jan. 4, she says things took a tragic turn, and she claims Kurt’s cage was empty. "How can a cat be left alone for a week and he chews through wire and no one notices," Staton said. Days later, Staton says an employee told her Kurt was found inside Pet Spoilers hanging upside down behind a water heater in the wall. Staton says Pet Spoilers did rush him to a veterinarian, but he had to be euthanized. "This is my worst nightmare. I expected to be with him for another 10 years. He was only 5 years old," Staton said. WPTV contacted Pet Spoilers multiple times for an on-camera interview, but the company declined. The owner did comment over the phone calling this an "unfortunate incident." He also said something like this has never happened before. Staton admits the owner did post flyers trying to help find Kurt after he was missing from his cage, but now she wants everyone to know what happened to her cat so another family doesn’t endure her pain. "You go there for peace of mind and you come back to this, it’s awful," Staton said.